Ilana Glazer is a star! Published on March 13, 2013 in ilana!. Comments OffTags: comedy central, ilana glazer, the best. So Ilana Glazer, the lead of How to Follow Strangers, and my own personal muse just got Broad City the show she co-created, writes, and stars in picked up to series by Comedy Central. 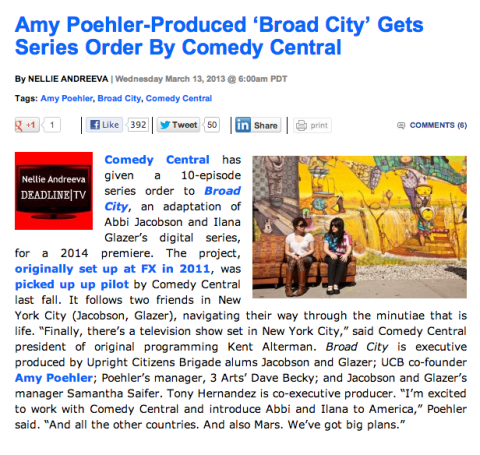 This is amazing news for the earth because that means more Ilana on screen all the time. Can’t wait.